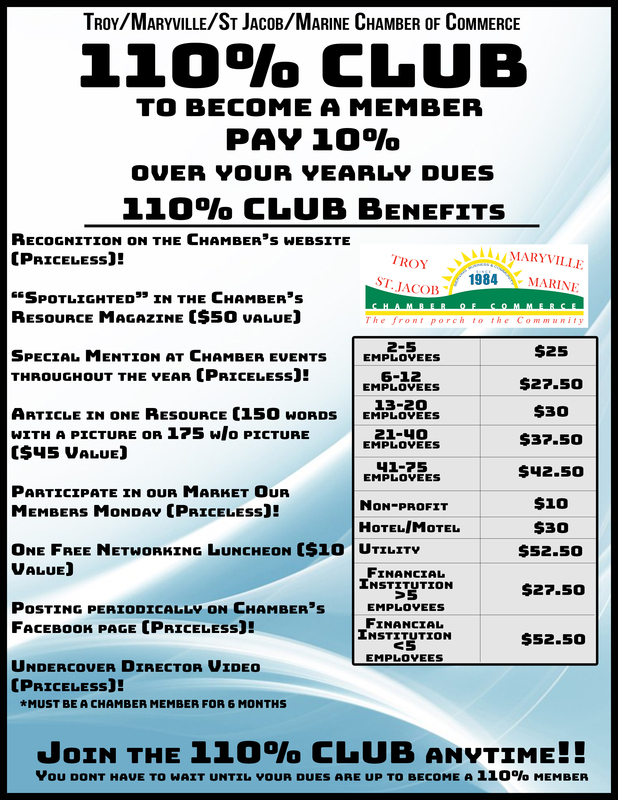 The 110% Club is a program we offer that allows a member to pay 10% over their annual dues, and in return receives free items. See the flyer below to see what you get when you become a 110% member! © Copyright 2019 Troy/Maryville/St. Jacob/Marine Chamber of Commerce-TMSM Chamber of Commerce. All Rights Reserved. Site provided by GrowthZone - powered by ChamberMaster software.